So, I do like wine…well, let’s say I love wine and am fondly (I think!) referred to as the ‘sommelier’ amongst my close knit of friends. 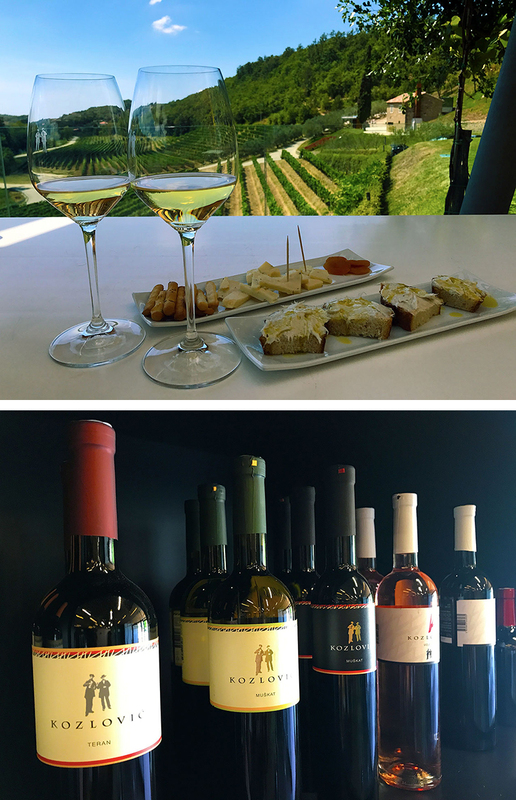 And therefore, when I was in Croatia - a country known for the incredible wines that they produce, it was a natural choice to go wine tasting to some fabulous vineyards. 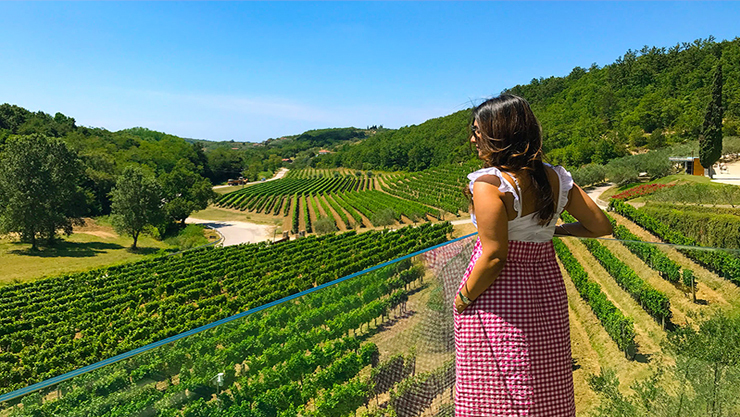 I started off in Istria - the region known as the Tuscany of Croatia and boy…was I overwhelmed or what!?! 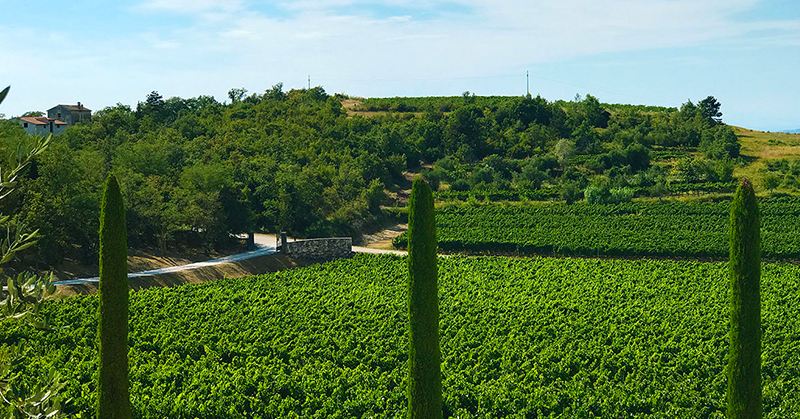 One of the top wineries of this region is Kozlovic - a family winery famous for consistently producing some great wines, especially their signature Malvazija. 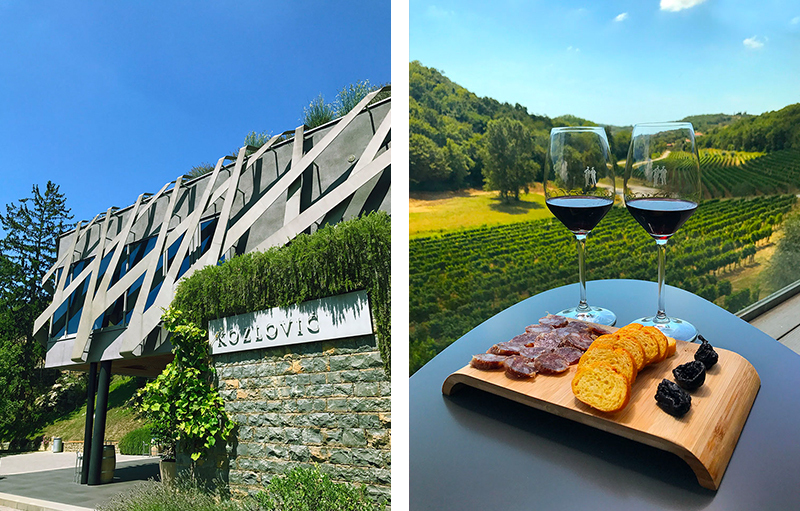 A visit to Kozlovic means driving well off the beaten path and through beautiful landscapes and once you arrive the winery, you are not just fascinated by the beautiful architecture and the location but also completely impressed by their friendliness and presentation. I tasted five unique wines on this day, in the company of the two most important guys of my life. 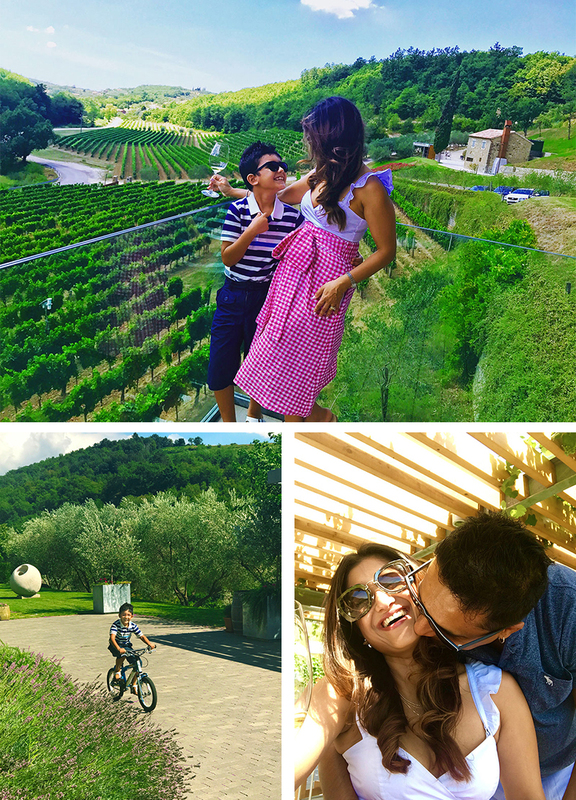 With a ‘wannabe’ sommelier Mom, my little traveler has learnt to keep himself busy and happy at vineyards. Of course, I do make sure that I go to the best ones where nature is in bountiful, with spaces and surroundings that are fun for a child. My lil’ guy had so much fun running, playing, cycling, chatting with the birds and the bees and intermittently checking on Mummy and posing for pictures. 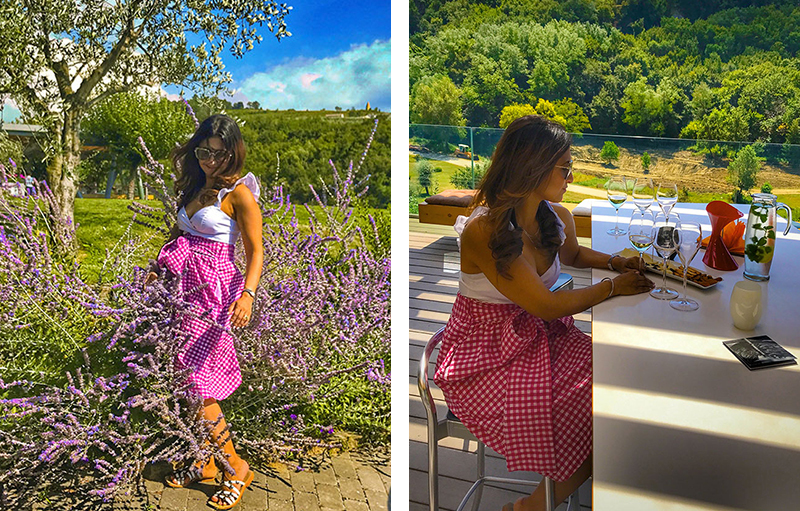 I started off with the wine journey in beautiful Kozlovic with a Valle - a classic summer wine with the perfect balance of body, texture, freshness and aroma. This is an easy drinking dry white wine but nothing compared to the vineyard’s signature wine – Malvazija - a well bodied wine, fruity and fresh with the right amount of acidity. Many Croats call it the ‘king of white wines’ but if you ask me, I would give more points to the next one, the dynamic Santa Lucia, a 100 percent Malvazija wine with finesse and complexity and ‘oh so good that I found it hard to move to the next one which was a Teran - a bold red medium bodied wine, low on tannins and therefore quite an easy breezy wine. The final wine was my least favorite amongst wines, a Muskat. Yes, I know it is a dessert wine but no thank you, I still find it very difficult to like a Muskat. And the Kozlovic Muskat is not very different from any good Muskat, just that a Muskat doesn’t suit my taste buds but otherwise quite a smooth wine – perfect to end a good meal. My star however at this tasting was undoubtedly the Santa Lucia. Kozlovic was a perfect introduction to Croatian wines for me. I was smitten by it all, the place, the scenery, the hospitality, the yummilicious nibbles that kept coming on our table and of course the wines. So, can you blame me if I wanted more? 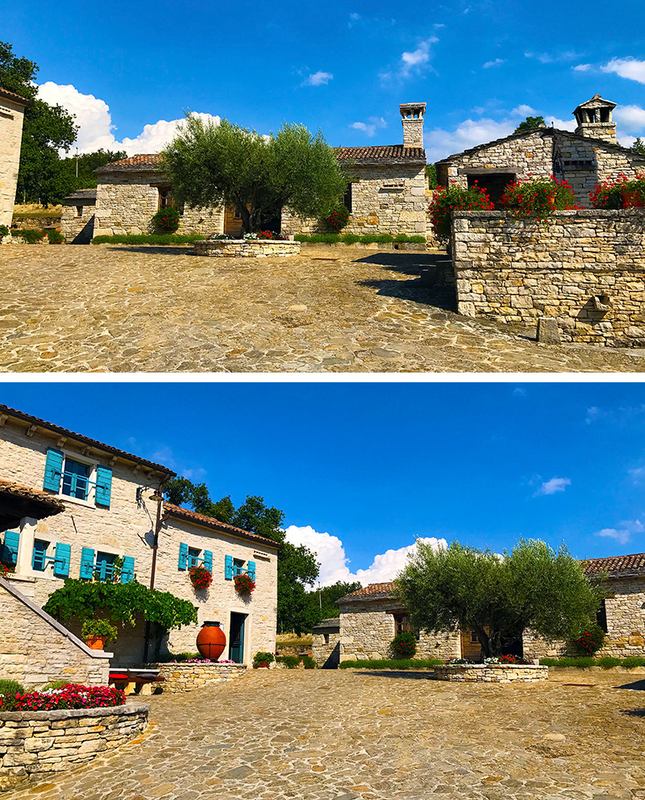 Another Istrian winery that came highly recommended was Kabola. This winery masters themselves in organic wines and I am not quite a believer in organic wines. Somehow, no organic wine really has made me go ‘wow’! But the Malvazija at Kabola was something else. We even carried a few bottles back with us…yes, it was that good. 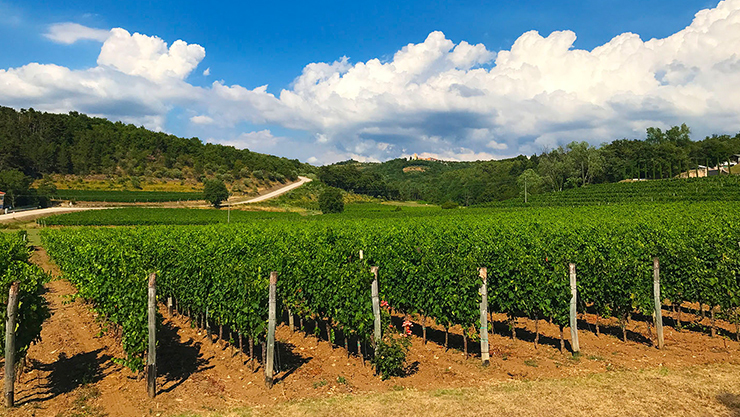 So, what’s the big deal about Istrian wines? The crispness, freshness and authenticity in their white wines are beyond outstanding coupled with the fact that they are mostly in small production means very little, or, none gets exported outside the country. For all those reasons topped with gorgeousness everywhere, it is worth the trip. How to get there: We flew into Zagreb and drove to Rovinj, which is a stunning Istrian town. Kozlovic, Kabola and many other wineries are about an hour’s drive away from here. Vinarija Kozlovic, Vale 78, Momjam, 52460 Buje, Istra, Hrvatska. 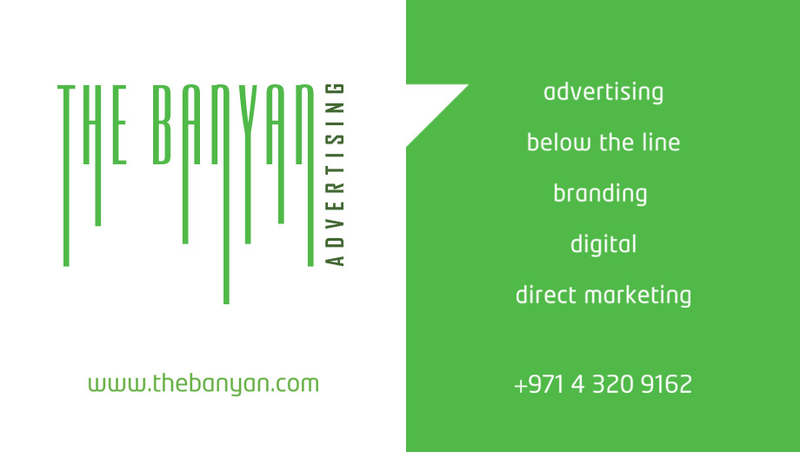 Working hours: Everyday 10 am to 4 pm except Sunday and public holidays. Kabola, Kanedolo 90, 52462 Momjam, Istra, Hrvatska. PS: Stay in Rovinj for a few days too. You will be filled with many aah’ and ooh’ moments. Trust me!